Everyone can benefit from a good detox. Detoxification is one of the central concepts of natural healing. The reality is that modern life has exposed us to many different toxins. We are continuously flooded with synthetic chemicals, hormones, and toxic materials in our food, air, and cosmetics and much of these substances inevitably make their way into our body and affect our health. This means even a person with a healthy diet comes into contact with toxins and benefits much from a proper detox plan. In the same way that we take holidays to recuperate and get re-energized, our bodies also need a break from the continuous load we put on them on a daily basis, both physically and emotionally. Detoxification is the break that the body needs to cleanse and rejuvenate itself. The kidneys, intestinal tract, lungs, skin and liver are all involved in detoxification. This means that a proper detoxification can have powerful restorative effects on all these systems. What are some of the benefits of detox? Detoxification includes cleaning, resting and nourishing the body from the inside out. By removing toxins, then nourishing your body with essential nutrients, and strengthening the organs of detox, detoxification can help in prevention of many diseases as well as enhance and renew your body's ability to reach optimum health. 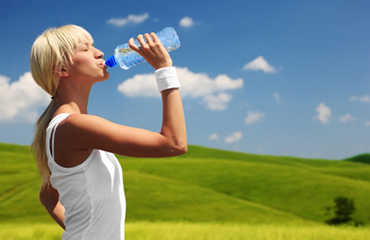 It is essential that each detox regimen be individualized. Everyone is different in the way their body metabolizes; some people detox more slowly than others or lack the proper nutrients to support the detox pathways. As well, a proper detox should be focused on the specific target systems for each patients. For instance, for some the detox may be focused on helping to clear out the gastrointestinal system, for others it may be more emphasized towards the kidneys or the liver, hence detox regimens must be based on proper assessment of each person and tailored to each individual's specific needs. For best results as well for safety reasons, all detox treatments should be supervised by a healthcare practitioner experienced in detoxification.